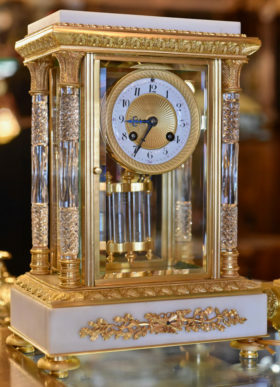 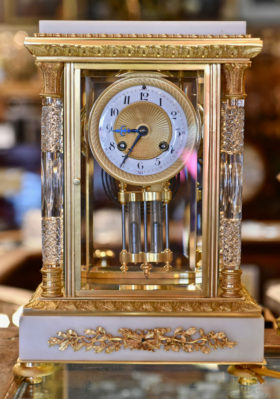 This elegant clock is crafted of white marble held up by Baccarat crystal palm leaf columns, and detailed with gilt bronze acanthus leaf moldings. 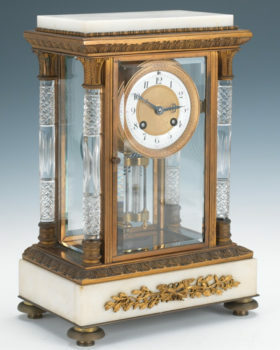 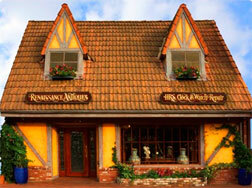 The clock houses an 8 day movement with a gong strike and a mercury pendulum. 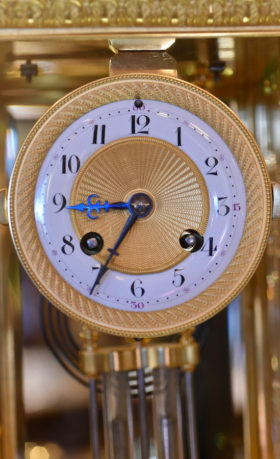 The face features a porcelain chapter ring, with an engine turned and embossed brass center dial and bezel.